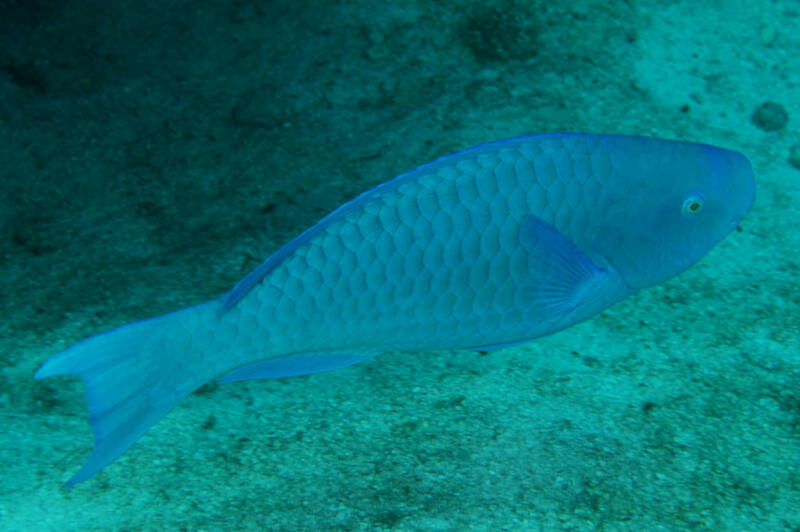 Scarus coeruleus (Bloch 1796), the Blue Parrotfish. Western Atlantic; Maryland to Brazil, West Indies. To nearly four feet in length. An eighteen inch one off of Key Largo, FLA in 09. 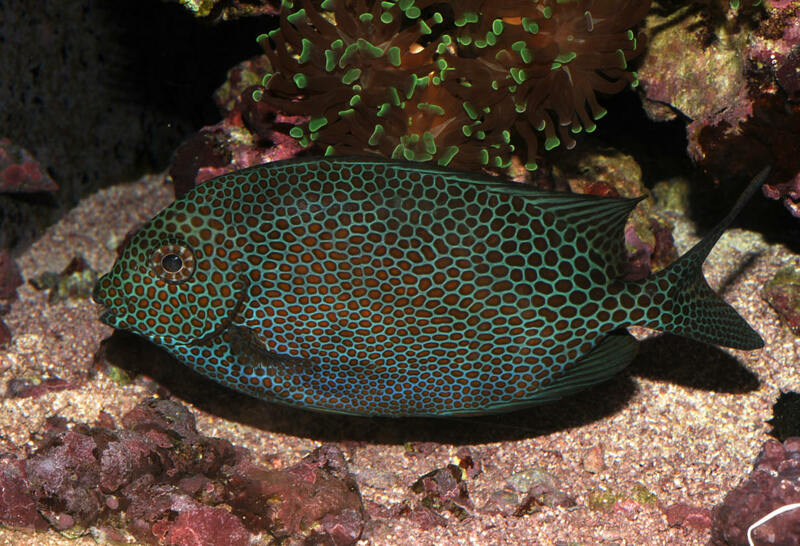 Siganus (Lo) vulpinis is the Rabbitfish to many. A Foxface with something... creeping crud... Crypt!? 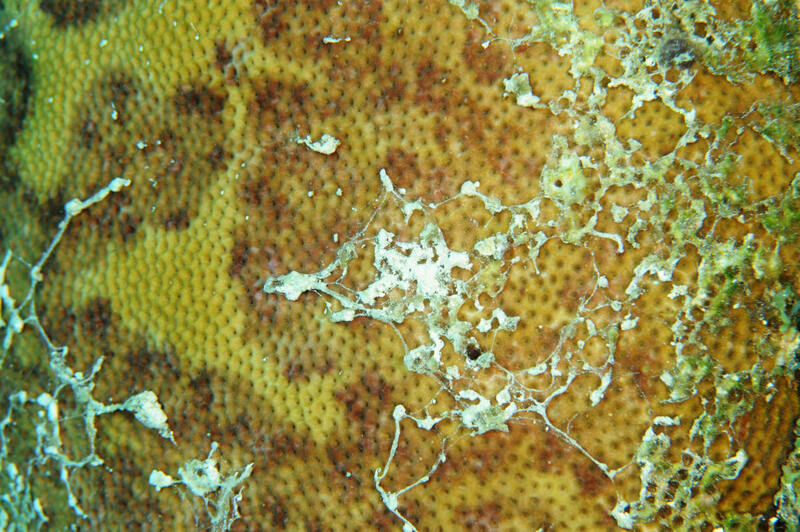 Siderastrea siderea (Ellis & Solander 1786). Pink Starlet Coral. Encrusting to massive/boulder-like. Corallites small (3-4.5 mm in diameter). Tropical West Atlantic. Key Largo, FLA 09 image. 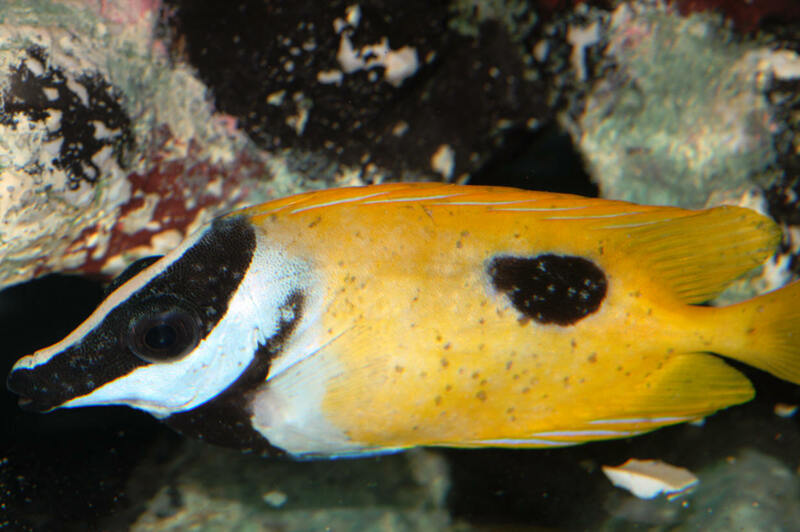 Siganus punctatus (Schneider 1801), the Goldspotted Spinefoot. Western Pacific and eastern edge of the Indian Ocean. To sixteen inches long in the wild. One at SIO Birch Aq. in 09.